The Federico family has been making heartfelt, home cooked meals for decades. 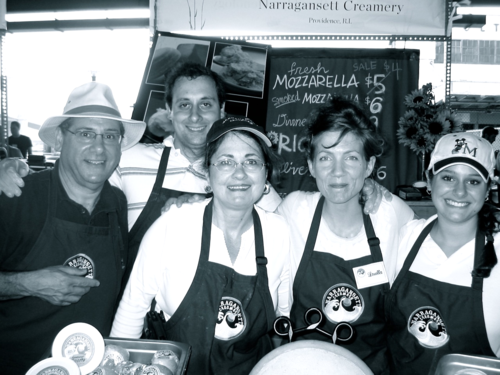 Mark and Pattie Federico decided to transform this passionate cooking into a family-run creamery. Using local, hormone-free milk and careful sourcing, Narragansett Creamery produces some of the areas finest fresh cheeses. Their ricotta is particularly amazing!